WHAT A NIGHT!!! We are still feeling the excitement after an amazing game tonight against Switzerland. We knew it was going to be a really tough game because that team has proven over and over again that it can find ways to beat you, so we were really prepared for anything. It was a long day of waiting, so it was wonderful to get out there on the ice and hear the crowd cheering, and know there was so much support for us at home! We had a really good start to the game, and that helped settle the nerves, and from there on, we definitely had a good feel for the ice and the stones. When Switzerland shook hands with us, we just couldn’t hold back. It was relief, excitement and pride all in one, and we couldn’t wait to share it with our family in the crowd. 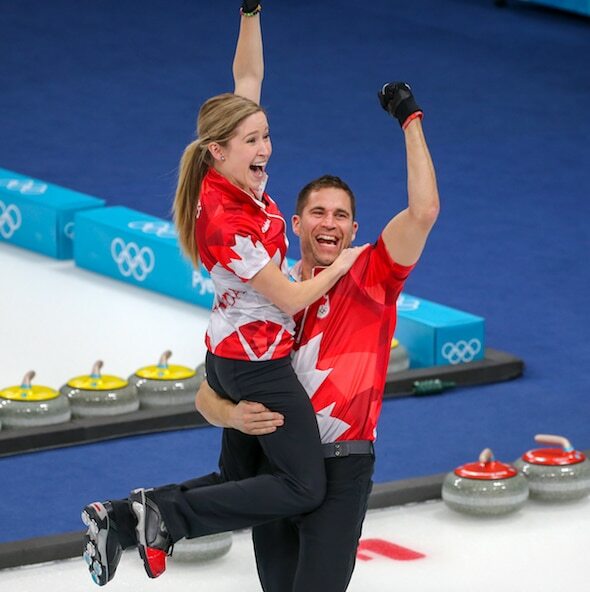 People told us we were making history tonight, and it was wonderful to be a part of that as the first Olympic mixed doubles champions, and the first Canadian curlers to win two Olympic gold medals. 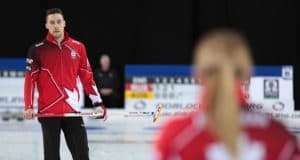 That really is something that we can’t believe, and it’s such an honour when you think about how many amazing curlers Canada has produced over the years. It was just unbelievable to get up onto the top step of the podium tonight for the arena ceremony, especially with two terrific teams that we have so much respect for. Mixed doubles curling is so tough, and it really could have been any one of the eight teams here that ended up on top of the podium, so we’re thrilled to have been that team. It’s not over yet, though. Tomorrow, we’ll be going up to the medal plaza in Pyeongchang for the medal ceremony. It’ll bring back so many special memories of winning before, but there will be new memories, too. There’s nothing better than listening to O Canada at a medal ceremony! We really can’t thank our families enough for how they supported us, and our off-ice team here, from Curling Canada and the Canadian Olympic Committee, was terrific and helped us so much. 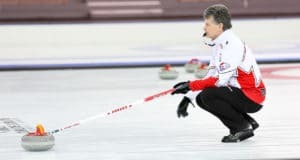 Our coach Jeff Stoughton deserves a ton of credit for bringing our mixed doubles program to this point, and we really appreciate the hard work he put in over the last couple years. And you fans back home were just spectacular; we got your messages and they really boosted us here. We hope a lot of those fans give mixed doubles curling a try some time soon. 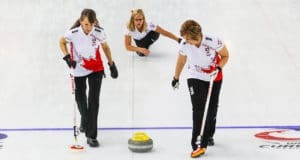 This was a wonderful showcase for mixed doubles, and there are so many clubs in Canada that are offering leagues, so please sure to go to your local curling club and try it out. Now, we get to watch Team Homan and Team Koe! We wish them the best of luck, and we’ll be cheering hard!